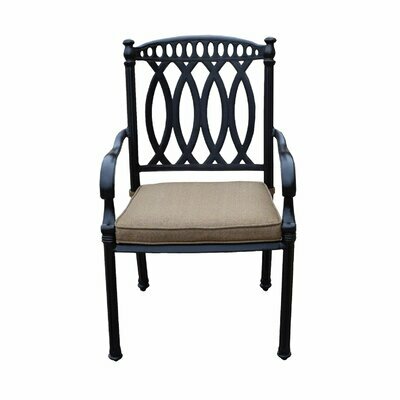 Outdoor > Dining Sets > Oakland Living Victoria Dining Set Cushions Home Family Furniture - Manufactured by Oakland Living. 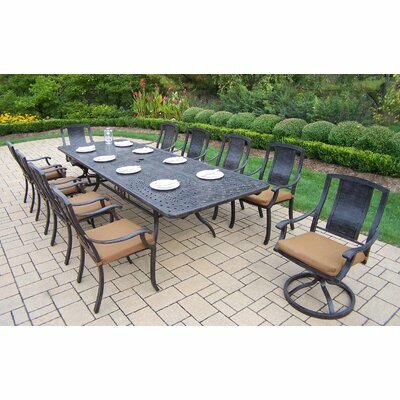 As part of the Oakland Victoria dining collection, 11 piece dining set has a picturesque ornamented motif, work of art extendable table top with an industry leading 2 diameter opening to accommodate even the largest umbrellas. 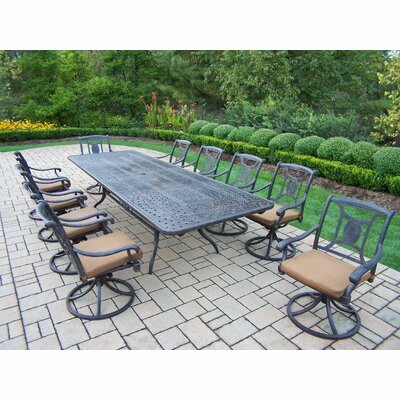 The table.